Once you’re a subscriber, prepare yourself for some of the greatest Marvel Comics featuring The Avengers, Guardians of the Galaxy, Ant-Man, Daredevil, Spider-Man and, of course, Doctor Strange! 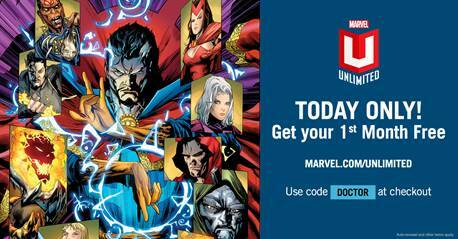 This amazing service is accessible through Marvel Unlimited on the web and through the Marvel Unlimited app on iPhone®, iPad® and Android™ devices. New to the world of Doctor Strange, the Marvel Universe, and don’t know where to start? Don’t worry! 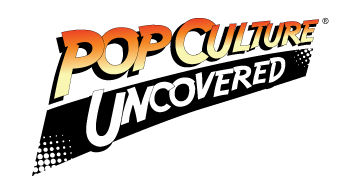 Marvel Unlimited subscribers have access to the DISCOVER section of Marvel Unlimited. Subscribers are now able to discover new pathways into the Marvel Universe by being able to search by their favorite storylines or creators and even take a deep dive into Doctor Strange’s greatest hits with his own dedicated Doctor Strange DISCOVER section.